Everyone's bowel movements occur at different times. When it takes longer to have a bowel movement than normal, you may become constipated. Some people have a bowel movement at least once a day while others may have a bowel movement three times a day. The longer you go without having a bowel movement, the worse the situation becomes, because the stool will become hard and it will be more difficult to pass. For women, many of them might experience constipation before period. Why does this condition happen? How can this condition be relieved? Read on to get your answers. Is It Normal to Have Constipation Before Period? It is normal to have constipation before your period. And you may even experience diarrhea and other digestive problems. Usually, your constipation could be the result of poor eating habits or a change in your daily routine. Besides, you will also experience this condition due to the hormone fluctuations. To ease the constipation, you can try many different home remedies. 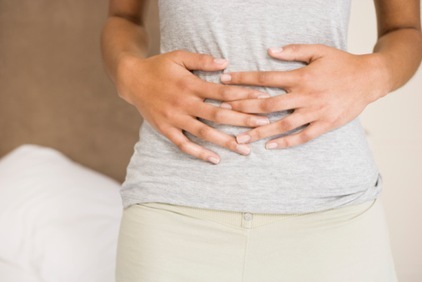 What Causes Constipation Before Period? The progesterone and estrogen changes can cause this condition. Progesterone is one hormone that directly affects constipation and may even create digestive issues during a woman's menstrual cycle or while pregnant. This hormone actually will fluctuate all through a woman's life. Besides the hormone factors, many times it is a dietary concern or unhealthy lifestyle choices. If a woman becomes constipated before her period it is because of the way the hormones raise and fall. When a woman's hormone levels are off they may begin to eat junk foods to comfort themselves. Added with the fact that she probably drinks less water and foods with rich fiber contents, women will probably experience constipation before period. If you are unable to get out to the gym or get your hands on some fresh fruit or vegetables, some natural laxatives can be a good choice. You can try to apply some prune juice, milk of magnesia or a suppository, or even a cup of warm broth helps to get your bowels moving again. You can also get a small footstool to release your constipation by sitting with your feet on the stool and bend your knees. This helps to adjust your bowel angle and could help the stool to get moving. Staying hydrated is always a good thing, and helps the body circulate and function well. With enough water inside the body, fluid retention before your period can be eliminated. Also, water helps with the digestion of the food and movement of intestines. Try to keep a water bottle with you at all times so you never find yourself thirsty and risk becoming dehydrated. Exercise is one of the best ways to ease constipation before period. It helps improve your circulation and increases the oxygen and blood flow through your body. In addition to helping relieve constipation, it also assists to ease other symptoms that come with your period. Just a simple 10-15 minutes walking can work wonders. You can easily work up to exercise more time but the main thing is to keep moving. When you eat foods that are good for your liver, such as leafy greens and beets, your liver will eliminate bile and excess estrogen. The release of the bile helps to stimulate your digestive tract and relieve constipation. When you eat before sleep, your body is in a non-active mode and everything slows down. When your food is digesting, you are just lying around. Thus, you are inviting an episode of constipation. Eating foods that are high in pectin, which is a form of fiber, can help to ease bouts of constipation. Beans and peas are high in fiber and can help to cut down on constipation. Fiber adds bulk and increases your water content, making the stools softer and easier to pass through. Keep a variety of different kinds of beans on hand so you can easily find the wanted kind when you need them. You can easily add them to salads and make hearty meatless soups. Try to get organic foods if you can. There are some foods you should frequently include in your diet such as are apples, bananas, carrots, beets, dried peas, cabbage, citrus, and okra. Try to cut down on salt and sugar in general, and limit the intake of foods that are high in both. You will find that most processed foods, such as cold cuts, bacon, salami, cookies, and other already prepared items are full of salt and sugar. Cutting down on these items around the time of your period will help with your digestion and the fluctuation of your hormones. EPA/DHA (which are omega 3 fats) – 1,000 mg 1 or 2 times a day to maintain the balance of fatty acids, helping to increase bowel movements. Aloe vera – this is beneficial for your digestive tract and helps to soften the stools, making them easier to pass. Magnesium glycinate or citrate –take this supplement 400 mg to 600 mg each day. Probiotics – you can find these in yogurt, which helps with your digestion in general. Ginger – many people would sip on ginger ale to ease an upset stomach. Ginger helps to increase the digestive process, encouraging the food to pass through the intestines.